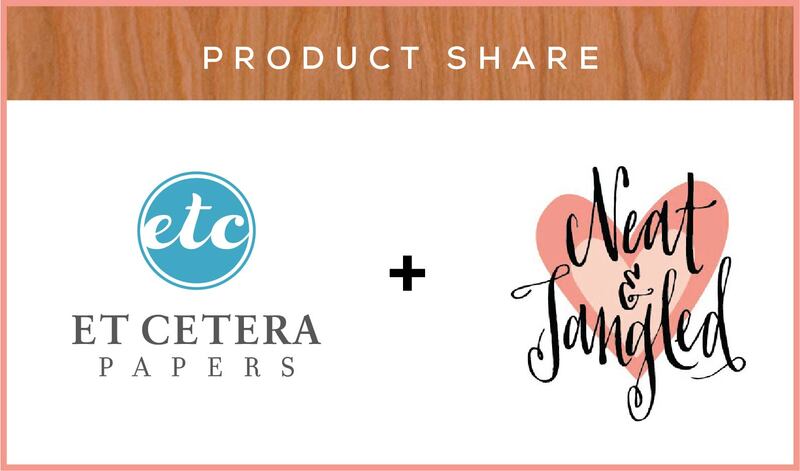 Welcome to our last day of product shares with Neat & Tangled. We are sad to see this week end. Today we are sharing a couple more projects using the Doily Envelope Die. With this first project we’ve used the versatile die to create a decorative banner. We cut 12 banner pieces from Real Birch Wood paper using the small flap piece of the Doily Envelope die. We lined up the cut banner pieces side by side and adhered pom-pom trim across the top. Super cute! We can use this banner for all sorts of events. It’s elegant and generic enough to be used for just about any event (baby shower, birthday party, wedding). Endless opportunities! 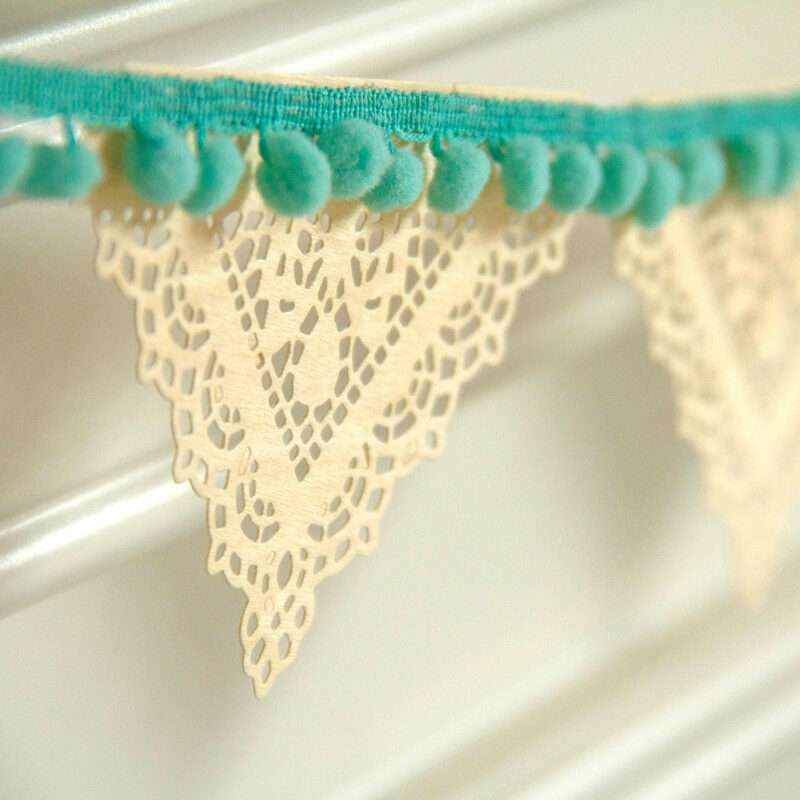 We created this banner with the Doily Envelope die and Real Birch Wood paper. 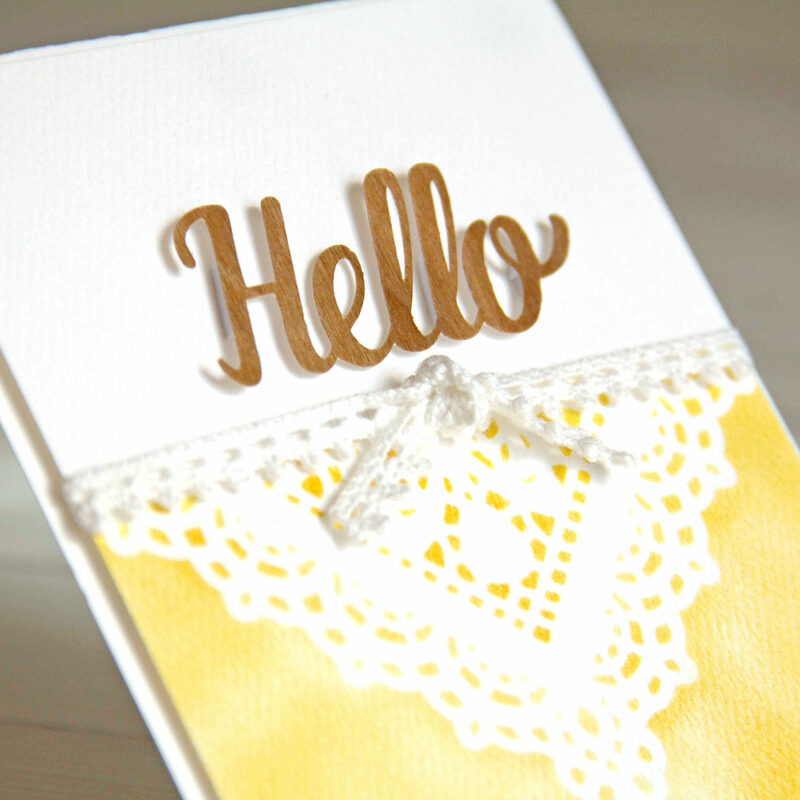 Our second project today is a bright and cheery hello card. 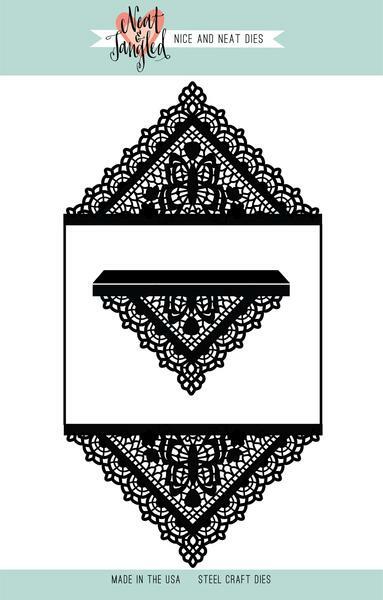 We used the negative space from the small flap of the Doily Envelope die to create a stencil. 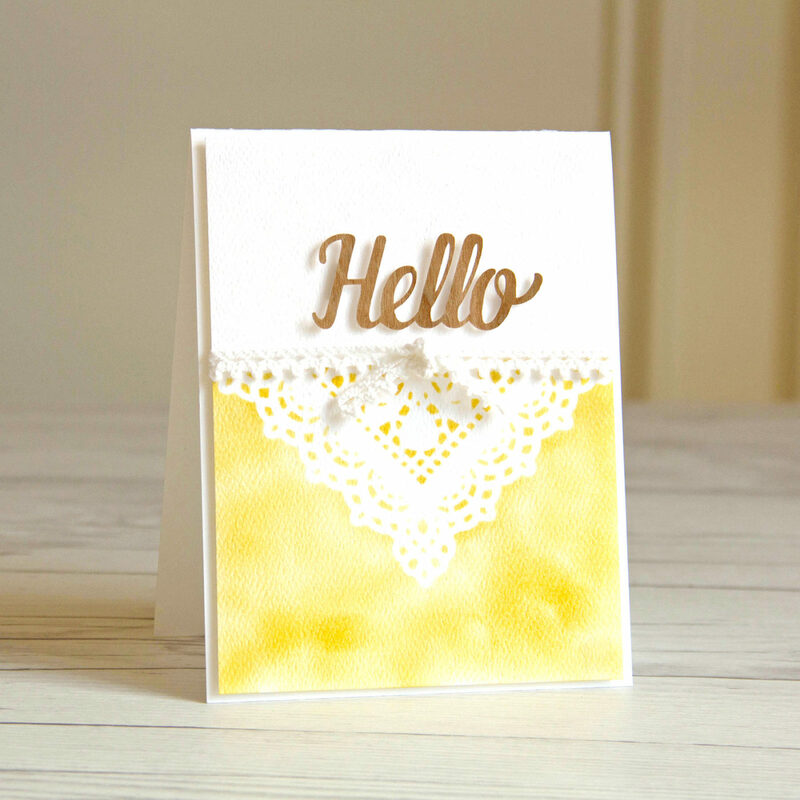 We used that stencil as a mask and dabbed a little yellow ink onto white card stock to create the background for this Hello card. The Hello sentiment is cut using a cut file on Real Cherry Wood paper. 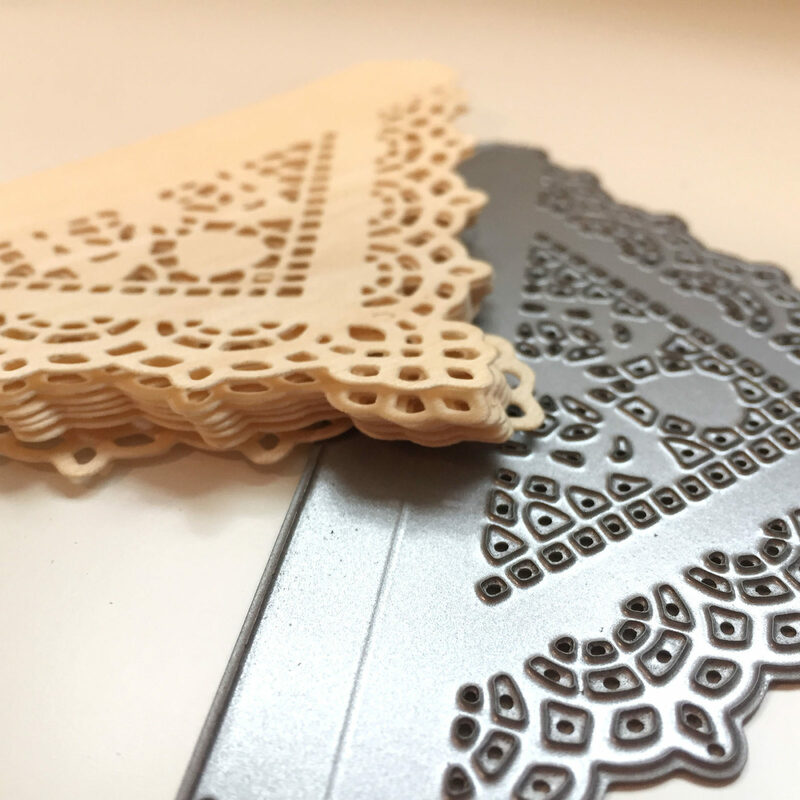 Doily Envelope is a set of 2 dies that you can use to create the most intricate, eye catching envelopes and card details! When folded this is an A2 sized envelope (4 3/8″ x 5 3/4″). What an awesome week of inspiration. Today is your last chance to be entered to win a $25.00 Neat & Tangled gift card, courtesy of our friends at Neat & Tangled. Simply enter your name in our comment section and be sure to give Neat & Tangled a follow! You can also enter to win some of our fabulous products, get those details over on the Neat & Tangled blog. This entry was posted in Card Making, Crafts & Kits, DIY Projects, Stationery & Envelopes and tagged Birch Wood, neat & tangled, real wood paper.